CarPlan is an umbrella brand within the Tetrosyl portfolio and the range encompasses all aspects of car care cleaning and maintenance. CarPlan products have the widest range of automotive aftermarket products in Europe. The diverse range consists of products to meet both consumer needs and trade needs. CarPlan is the most proactive brand in car care and we ensure innovation is at the forefront of all our activity. Award Winning Tyre Slik “The ultimate wet look tyres” – Just spray on for great looking tyres. Tyre Slik contains a special rubber lubricant to help combat the effects of crazing on tyre walls. 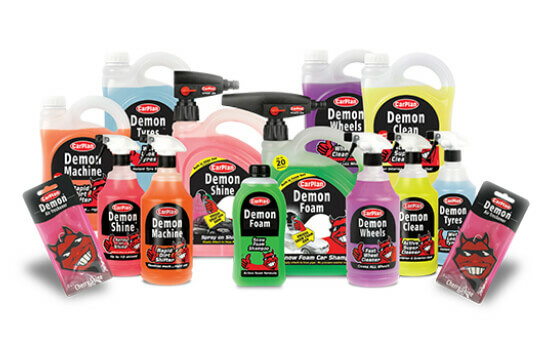 Our brightly coloured and wonderfully scented Demon range offers you everything to clean your car and give you that ultimate Wicked Shine! The wide choice and styles boasts a combination of licensed brands coupled with in-house ideas all situated under the CarPlan umbrella. The range is designed to appeal to both male and female markets, young or old, some are discreet, some are loud and colourful, some odour eliminating as well as air freshening. 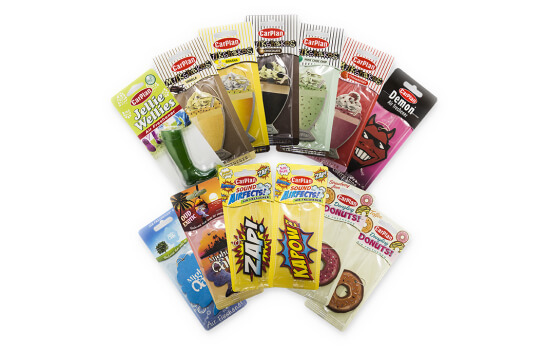 The diverse collection includes carded, gels, gel pots, vent sticks and many more. 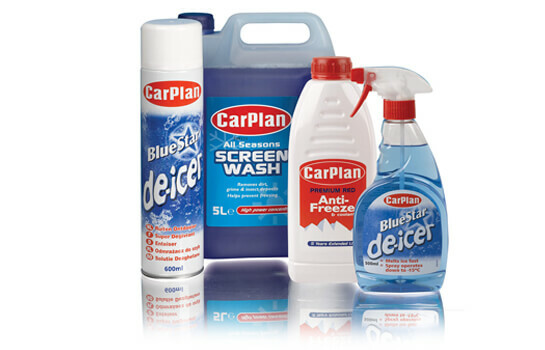 The CarPlan winter range which consists of vital de-icers, pre-icers, screenwash, and antifreeze. Suitable for sub-zero temperatures this range includes powerful de-icers and screen washes, effective down to temperatures too cold to imagine in the UK. The CarPlan winter range also features a wide range of essentials including ice scrapers for all budgets, and most notably a new man-sized, super deluxe ice scraper. The CarPlan Winter automotive accessory range incorporates a selection of products to aid safe and provide a more convenient winter motoring experience including battery chargers, tow ropes and jump leads. CarPlan workshop consumables perform a variety of vital tasks such as cleaning vehicle parts, helping loosen seized and corroded parts, helping prevent corrosion and cleaning oily and greasy residues from hands. These Workshop products have been designed to meet the demands of both professional technicians and DIY enthusiasts. 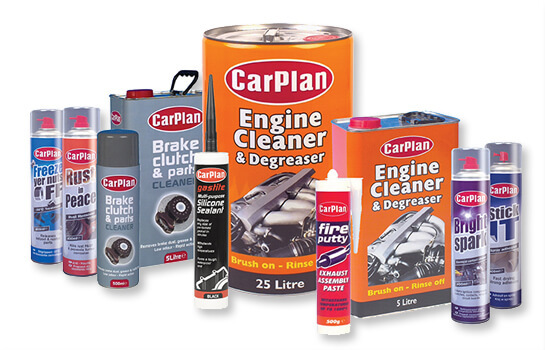 CarPlan brake & parts cleaner is one of the key products in the range. This helps clean braking components without impacting seal materials and leaves a residue free finish to avoid compromising braking performance. Just used demon shine spray on shine for first time, wow, couldn’t be easier, on the glass, on the chrome, bodywork looks fantastic, already recommended to family and friends. Tyre Slik is very quick and easy to use at an affordable price. Simply spray on the tyre and allow it to dry naturally to reveal a ‘new’ tyre look. I would say it gives a natural shine without looking overly glossy. Shine seemed to last around 6 weeks of average driving. 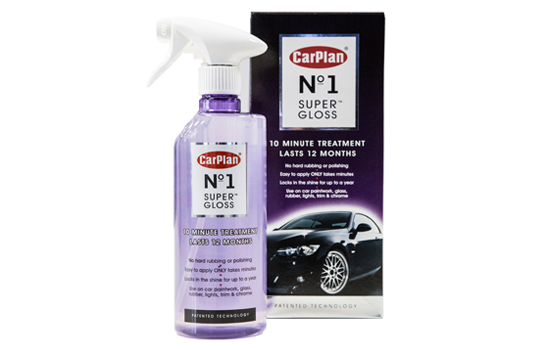 CarPlan Super Gloss was just what I had been looking for. Easy to use and gives a great shine with very little effort.